CHICAGO - With an acting career spanning six decades, George Takei is known around the world for his founding role in the acclaimed television series "Star Trek", in which he played Hikaru Sulu, helmsman of the Starship Enterprise. But Takei's story goes where few stories have gone before. From a childhood spent with his family wrongfully imprisoned in Japanese American internment camps during World War II to becoming one of the country's leading figures in the fight for social justice, LGBTQ rights, and marriage equality, Takei remains a powerful voice on issues ranging from politics to pop culture. He is currently preparing a graphic memoir about his life in the internment camps, They Called Us Enemy, with co-writers Justin Eisinger and Steven Scott and artist Harmony Becker, available Summer 2019. This session will take place Monday, June 24, 2019, 10:30-11:30am at the 2019 ALA Annual Conference & Exhibition in Washington, DC. 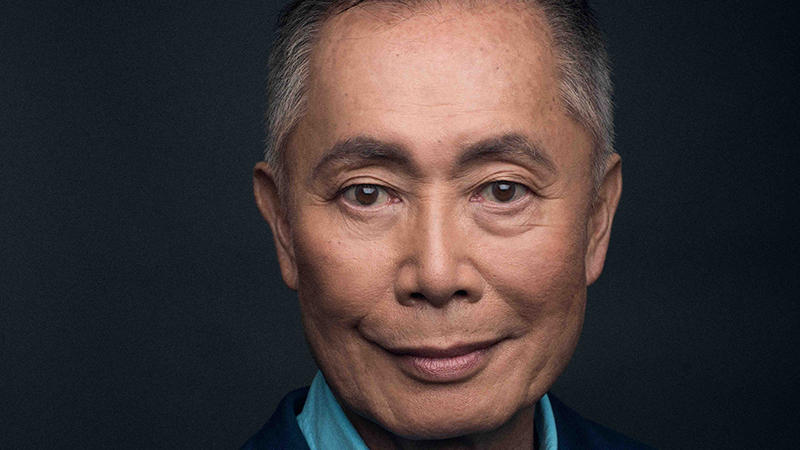 Takei has been a passionate advocate for social justice, an outspoken supporter of human right issues and a community activist. He has served as the spokesperson for the Human Rights Campaign's "Coming Out Project" and was Cultural Affairs Chairman of the Japanese American Citizens League. He is also chairman emeritus and a trustee of the Japanese American National Museum in Los Angeles. He was appointed to the Japan-US Friendship Commission by President Clinton, and the government of Japan awarded Takei the Order of the Rising Sun, Gold Rays with Rosette, for his contribution to US-Japanese relations. The decoration was conferred by His Majesty, Emperor Akihito, at the Imperial Palace in Tokyo. Mashable.com named Takei the most influential person on Facebook, with 10.4 million likes and 2.8 million followers on Twitter. His appearance at the conference is sponsored by Top Shelf Productions. Early Bird registration rates are available through March 6, 2019, 12:00 Noon (Central). If you need help in making your case to attend, these resources can help. Ways to stay in touch and get updates include: 2019 ALA Annual Conference website, Twitter (alaac and #alaac19) Facebook Events, Pinterest, YouTube, and Instagram.